While the attention of the nation focuses on the nomination of Brett Kavanaugh to the Supreme Court, the White House and the Senate leadership are continuing their work filling the lower court vacancies across the country. Last week, President Trump announced his 16th wave of judicial nominees, which includes Eric Miller, the president’s nominee to the U.S. Court of Appeals for the Ninth Circuit. Mr. Miller is yet another stellar nominee to the federal courts of appeals, and if confirmed Mr. Miller will be the fifth of President Trump’s circuit court judges who is a former law clerk to Justice Clarence Thomas. My snapshot of Eric Miller appears in the following post. 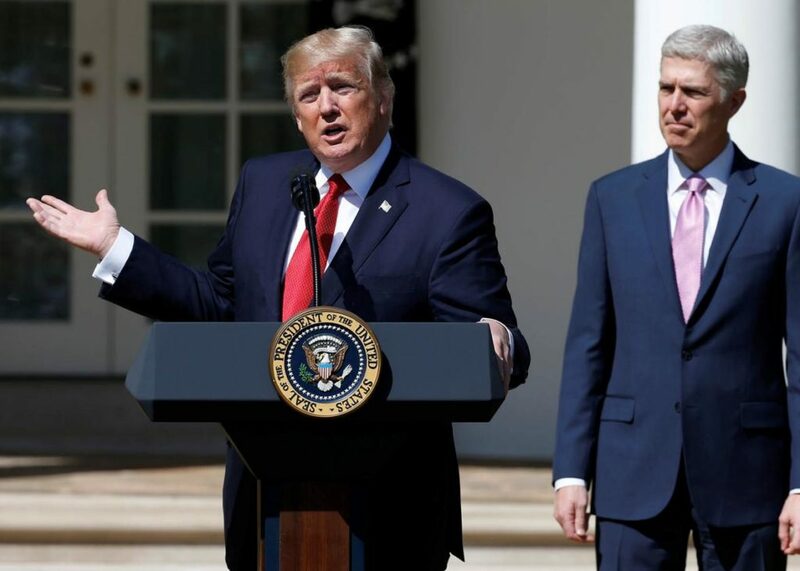 Also last week, a spokesman for the Senate Judiciary Committee, Taylor Foy, told the Washington Examiner, “We don’t anticipate the [Supreme Court] vacancy will have much of an impact on our progress on lower court nominees, especially considering that the Senate will be in session for much of August.” This is good news for the President’s pending judicial nominees: thanks to the continuing obstruction of Senate Democrats, there are currently 100 pending judicial nominees, including the most recent wave. Demonstrating this continued to commitment to confirming circuit court judges, Senate Majority Leader Mitch McConnell has filed for cloture (to end debate) on the nominations of Andy Oldham (Fifth Circuit) and Ryan Bounds (Ninth Circuit). This procedural move sets up confirmation votes for Oldham and Bounds later this week or early next week. If confirmed, Oldham and Bounds will be the 23rd and 24th circuit court judges confirmed during the Trump Administration, setting a new record for most circuit judges confirmed in the first two years of a President’s term.